Exactly three weeks ago, Prophet Bishop Reindolph Oduro Gyebi, General Overseer of God’s Crown Chapel in Kumasi called for prayers for presenters in Ghana in order not for misfortune to befall them. The man of God singled out presenters in Ghana especially; those with the Multimedia Group appealing to pastors who preach on those networks to fervently pray for the workers so that the machinations of the devil will not prevail. “God protect our pastors. I know that Adom FM has pastors who pray for them. They should step up their prayers for Adom and the workers there especially even though we will also commit it to prayer as God has directed. We commit all presenters in Ghana before God any plans by the evil one against them will not succeed”, the Eagle Prophet said. It would, however, be recalled that Broadcast Journalist and host of late afternoon political show, Ekosii Sen on Asempa FM, Kwadwo Asare Baffour Acheampong affectionately called KABA died on Saturday, November 18, 2017, in the morning at the Korle Bu Teaching Hospital in Accra. He is reported to have died after his blood sugar level rose and was rushed to the health facility. The body had been deposited at the Korle Bu Teaching Hospital morgue pending an autopsy. 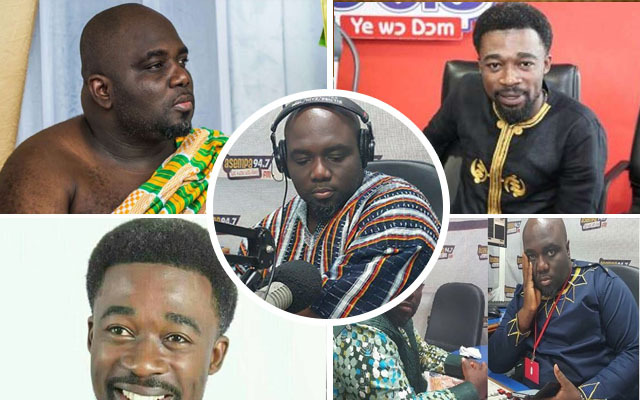 Nana Osei Ampofo Adjei who sat in for him on his show on Friday, November 17, 2017 was heard wishing him a speedy recovery only for his death to be reported the following day.